Does the Samsung Gear VR SM-R323 work with t the S8? Mine has a USB C adaptor so I cannot see why it wouldnt. I messaged Samsung on twitter and there said no so I didn't want to plug my new S8 in it. I just cannot see why not if the Note 7 worked on it. I just got the S8 Plus and it fits/works just fine with my Gear VR that I had got last year. Good to know..i also purchased the gear vr with my note 7 last year.. I was concerned my s8 plus would not fit.. do u see any difference using the s8 plus? The guy above you says it doesn't fit. What exactly are you saying? I have an R323 and I can't connect my S8+. I have the top adapter in this pic (for phones with micro-USB charging), but I need the other adapter for phones with USB-C ports). The R323 apparently had both adapters in the US (I'm in the UK). Yes, it does. I used my S8+ with my 2016 Gear VR without difficulty. You need a usb type c adapter. Yes, and the 2016 Gear VR came with that (originally for the Note 7). The once came in the s8 which is black may work. But the white one is too long. Yes, the black one does work. The white one is for the VR's power connection, not for the phone connection. It's clearly explained in the instructions. Lets clarify things once and for all. 2016 Gear VR (SM-R323) is the exact same as the Gear VR 2017 (SM-R324). The difference in the 2 is the 2017 has the controller. Each is SUPPOSED to come with a Micro USB and USB Type-C adapter. The S8 and S8+ will fit in the 2016 VR since it is exactly the same as the 2017 model just be sure to move the width position to position A as seen here. justin1578 and thusgaard like this. My S8+ fits in last year's VR with no issues. So I got my Gear VR through the S7 promo (in the US). But I just checked my box. I have all the papers, but no USB-C piece to change out. I didn't lose it, it just didn't come with it. That stinks. Mine is actually the SM-R322, which is the 2015 version. I got it in June 2016. The 2016 version was released in August 2016. I guess the promo was to get rid of the old Gear VR stock before the new one was announced. Did you manage to get the SM-R322 to work with your samsung s8? 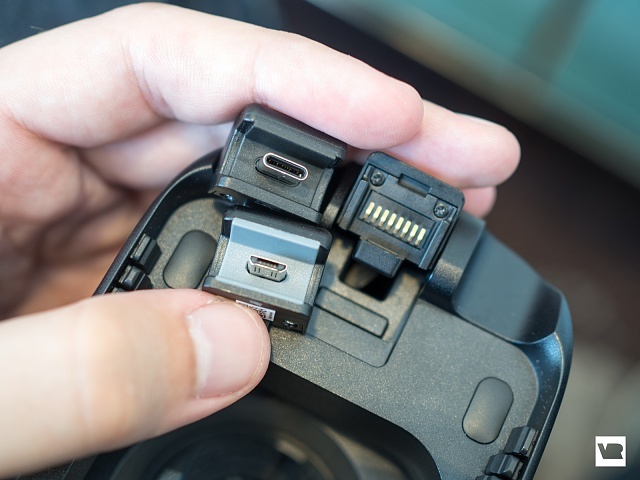 To add to this thread, the S8 will fit and is usable on both the 2016 and 2017 Gear VRs with the included USB C adapters but the S8 Plus, though it fits in the 2016 VR, it's not meant to be used with it. Why? Because the fitting it way tight to be classified as damaging. This is because the USB C adapter for the 2016 and 2017 Gear VRs are different. One can use the 2017 USB C adapter with the 2016 headset and it will work just fine. Source? I have both. I had to buy the 2017 adapter to be able to use my 2016 VR. Folks trying to squeeze in the S8 Plus in the 2016 Gear VR, stop doing that since you'll damage your phone. I remember a guy on here said he cracked his phone putting it in the VR. I wonder if that's how it happened. I'm not understanding what you're saying I guess. I got the 2016 vr free with my Note 7. 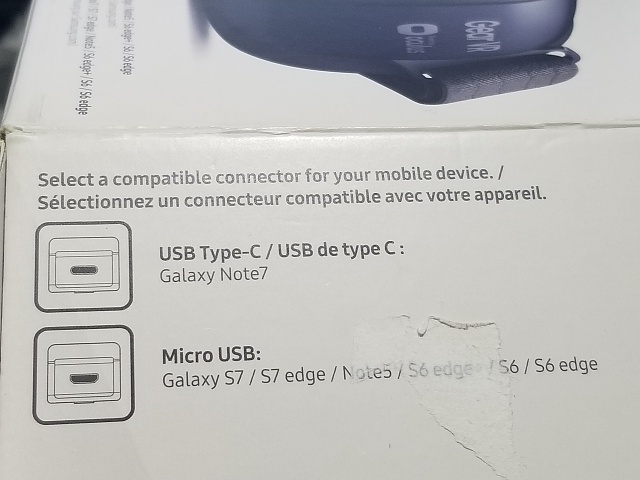 An adapter is not needed since it came with the USB type c by default. My s8 plus fits fine, snug, but fine. Mine fits too, but it's dangerously tight. The USB C adapter that comes with the 2017 headset is different than the one that came with 2016 version. The 2017 adapter has a slightly deeper slot to fit in the taller S8 Plus. I'll post pictures, you'll know then. Edit: here's the pics. The left one is the newer 2017 adapter with a slightly deeper slot vs the 2016 adapter on the right. Sorry do I need the 2016 USB C adaptor or the deeper 2017 USB C adapter for the S8 (non plus version)? I have the 2016 Gear VR. 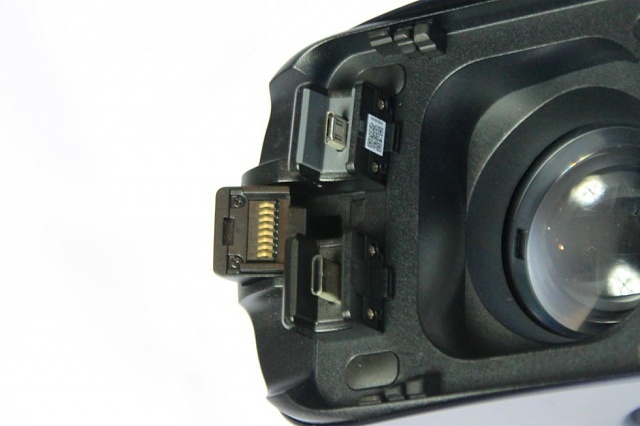 The regular S8 will fit in the 2016 Gear Vr using the 2016 USB C adapter. 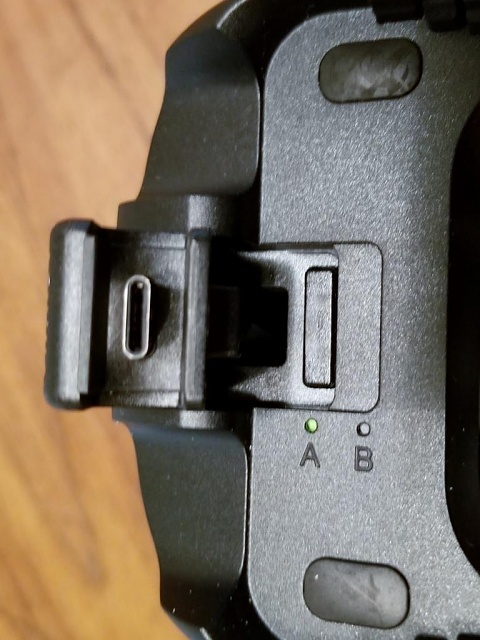 The S8 & S8+ absolutely will NOT work with the 2016 Gear VR UNLESS for some reason the goggles came with the "C" type connector! You can't put a square peg into a round hole(snuggly)! This is why people are breaking phones. I purchased the 2016 VR's with my S7. Worked great! Upgraded to the S8 & because of the "C" type connector it won't fit! 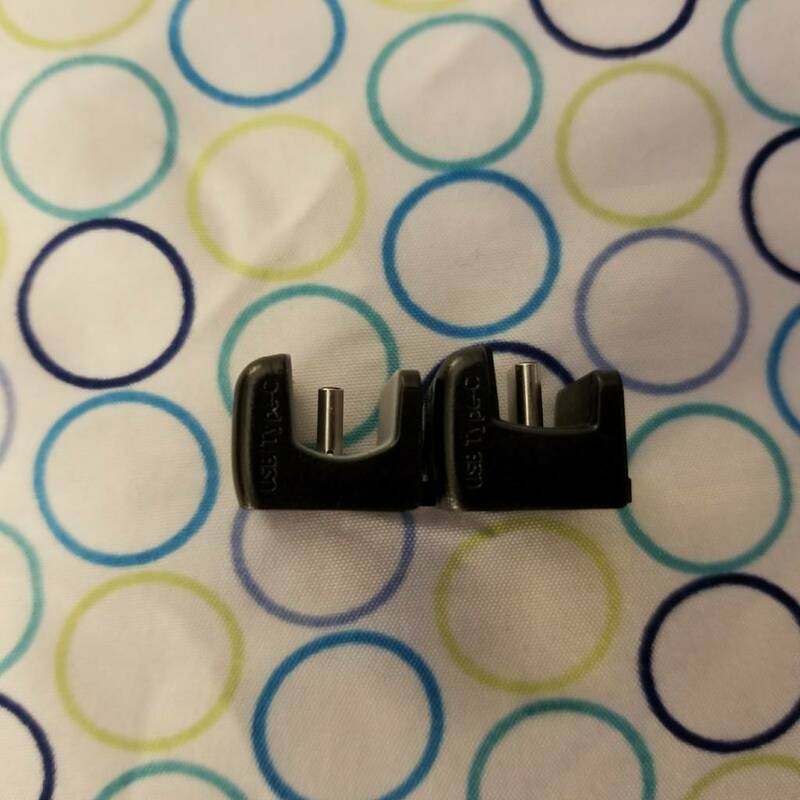 I bought the "GH98-40350A" C-type adapter but can't connect it! It seems that wires need to be cut & soldered on. I'm looking for a video if anyone knows of such a video please let me know. Samsung support says it's not compatible. But I don't put much faith in their knowledge! If your VR's came with both adaptors consider yourself lucky. Don't waste the $ like I did on the "C" type until YouTube has a video on it! Good luck all! Not sure what you mean by it doesn't fit in the 2016 Gear VR. I have one and use it with the S8+ and 2017 USB C Gear VR adapter just fine. Check my picture above. Ok guys, This past month november 17, I bought 2 of them because we have 2 Samsung S8 in our family. I thought it is perfect to have 2 so that 2 of the children can play with each other. Box 1 has NO sticker. Box 2 has a little sticker that shows the adapters we have all seen here attached. I opened box 2 and it has 2 adapters. The S8 does fit once you figure out the ends move to close in on the phone as arms. Box 1 does NOT have 2 adapters and ONLY has the micro USB. NO USB TYPE C.
I cannot get the phone to work with the S8 for the controls in the head set. I am not sure if it is broken. But if I put a VR program on that is not dependent on the controls, it works fine. I think Samsung was manufacturing the SM R232 with the micro USB then changed in mid production to have both micro USB and Type C USB. I think that is the mystery. Ok i hope that helps and I hope I can figure out how to get the glasses and phone to link up for the side glass controls.